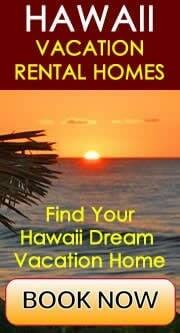 Most think of Hawaii a small, quiet place with an abundance of beaches and sunshine. Well, that's true, but that's just one of the many facets the Hawaiian Islands have. Hawaii has been associated with power, celebrities and famous people for decades and this trend continues to this day. The most famous to date is Hawaii-born Steve Case. Founder of America Online and former Chairman of the Board of Time Warner, he was born and raised on Oahu and attended Punahou School. He continues to make Hawaii proud by contributing to the community and investing in the islands. In the pop music and pop star scene, there is Nicole Scherzinger of Pussycat Dolls fame. Dark, lean and lovely, she was born in Hawaii and is part Hawaiian. She sports a Hawaiian middle name "Elikolani," meaning "heavenly child." Also from Hawaii is actress Kelly Preston. She was born Kelly Smith and raised and schooled at the prestigious Punahou School on Oahu. Another popular actress from Hawaii is Bette Midler. Born and raised on Oahu, she attended Radford High School. Midler became a talented actress and singer and has gone on to be one of the most notable talents from Hawaii. Everyone knows Kelly Hu from her roles in Scorpion King and X-Men. This Hawaiian-blooded actress was born and raised in Honolulu and attended Kamehameha Schools. She won the Miss Teen USA title and has pursued a fertile career in Hollywood that has included commercials, television series and movies. Tia Carrere of "Dancing With The Stars" was also born in Honolulu and is of Filipino/Chinese descent. She attended Sacred Hearts Academy on Oahu and is known to be the voice of Nani in Lilo and Stitch, Relic Hunter and more. Matrix fans are familiar with Keanu Reeves, born in Lebanon and raised in Toronto. This superstar has Hawaiian blood running through his veins. Uniquely Hawaiian, Keanu can be translated to "the cool one." And believe it or not, Nicole Kidman has a state of Hawaii birth certificate. She was born on June 20, 1967. Danny Lockin played Barnaby, a major character in the 1969 movie Hello, Dolly! with Barbara Streisand and Walter Matthau. He was born on July 13, 1943, on Lanai. He and his parents moved to the continental United States and settled in Omaha, Nebraska, in 1946. 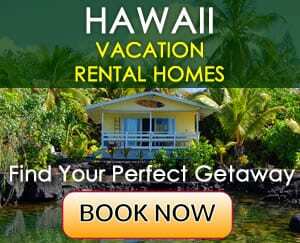 For those famous, who cannot hope to ever be Hawaiian or to be born in Hawaii, many mega stars either are betrothed or buy property in Hawaii for that island connection. The north shore of Kauai overlooking Anini Beach was the setting for the wedding of the now defunct marriage between Friends star Matt Le Blanc and Melissa McKnight. The setting was tropical and private with lots of celebrities in attendance. One of the most popular to hold a Hawaii marriage license is Bill Gates. This mega millionaire had spectacular wedding on Lanai. Private jets flew in, helicopters were grounded, gold courses were cordoned off and even a few locals were a bit miffed with the computer royals, who swept in and disrupted their tropical island paradise with their $1 million dollar wedding. Speaking of royalty, even the queen of daytime television Oprah has managed to buy more than one piece of paradise for that island connection - twice. She purchased a chunk of oceanfront property near Hana several years ago. 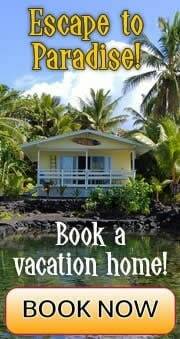 The property has a red sand beach and a significant Hawaiian spiritual site and lots of lush green landscape. More recently, Oprah purchased 1,000 acres on Maui located high on the slopes of Haleakala. The house is surrounded by cool upland pastures and has a fantastic view of the island's beaches and agricultural fields. Also crazy about Maui is Britney Spears. Not quite the huge investment Oprah has made, she opted for a Maui vacation home along the waterfront with a pool and an outdoor Jacuzzi. Sports stars also have Hawaii ties. From golf to sumo, and from football to surfing, Hawaii has its share in the athletic department. Look to the golf courses for Hawaii 's brightest golf star. Michele Wie is making headlines all over and she's still a student at Punahou School. Tall and lean, this fresh Korean-faced superstar is taking the golf world by storm. Denver Broncos fans are very familiar with Jason Elam. The place kicker was a student at the University of Hawaii Rainbow Warriors football team and had a coconut in his locker at Invesco Field to remind him of his humble beginnings in Hawaii. Also currently with the Broncos is Ashley Lelie. Star player at the University of Hawaii Warriors football team, this talented wide receiver player was a first round draft pick. From Waianae on the island of Oahu, Chad Rowan hails one of the most significant Hawaii-born athletes. His sumo wrestling studies started along the west shore of Oahu. Rowan managed to work his way up to the coveted ranking of Yokozuna. He is the first non-Japanese wrestler to achieve such as high ranking. Surf champion Fred Hemmings was the best in the world in 1968; now he is a state senator for Kailua on the windward side of Oahu.